Coolshanagh – a meeting place of family and friends. Coolshanagh Vineyard possesses a select 10-acre site on the rustic north end of the idyllic Naramata Bench. 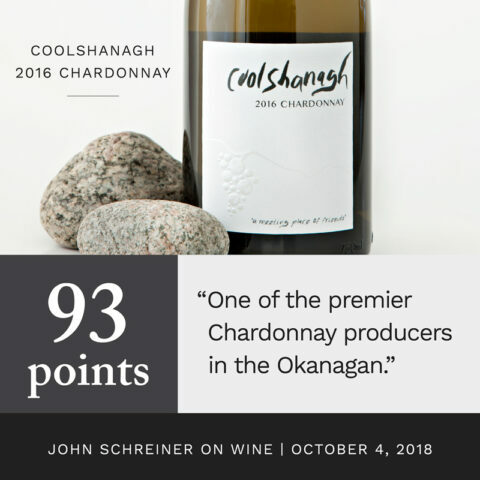 With consultation from the leading soil expert in the world, Coolshanagh has been planted exclusively to carefully-chosen Dijon clones of Chardonnay and Pinot Noir, grafted to their ideal rootstocks. Quantities of our handmade wine will be scarce. Always. By strictly limiting the quantity of Coolshanagh that we produce, our attention will remain focused on releasing only the best of all possible flavours, balance, and quality our vineyard can offer. There will only be one Coolshanagh. With high demand for what will remain a rare product, we ask that you join our Friends of Coolshanagh mailing list, and become part of the extended Coolshanagh family. While signing up for the list does not necessarily guarantee the ability to purchase our wine, you will be first-in-line to secure your desired allocation when quantities permit. Friends of Coolshanagh will receive periodic information and updates on the vineyard and future releases. Limited bottles of Coolshanagh Chardonnay 2016 are available. Please order via email or 250-809-4695. 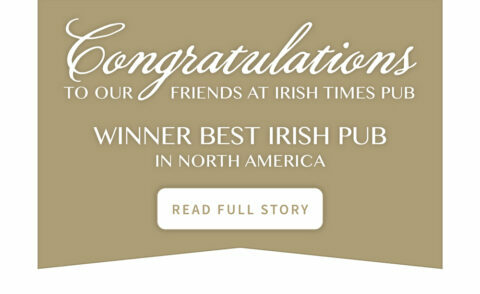 For those in USA, please order Coolshanagh online via Wine VIP. We thank those who have embraced Coolshanagh to date. Inspired by the land itself, the Coolshanagh Vineyard has planted only Chardonnay with small amounts of Pinot Noir because only focus and intention yield the best wines. Skip and Judy Stothert relocated to Naramata in 2003 with a dream to start their own vineyard and a vision to plant only those varietals perfectly aligned with the soil profile of their land. Become a Friend of Coolshanagh and receive the latest news and updates. Be the first to know about limited-edition new releases and gain an insider’s view into the Coolshanagh winemaking process.